We offer a variety of netting options. Whether you grow row crops, cherries, ascat or grapes, we can provide you with the coverage you need. All of our nets are manufactured in Korea from high-density polyethelene (HDPE), are fully UV stabilized, containing 0.6% CIBA 783 inhibitor, and have a 10 year UV warranty. Having worked with alternative products, Neal Carter and Associates Ltd. stands behind our nets, using several dozen bales in our own orchards. 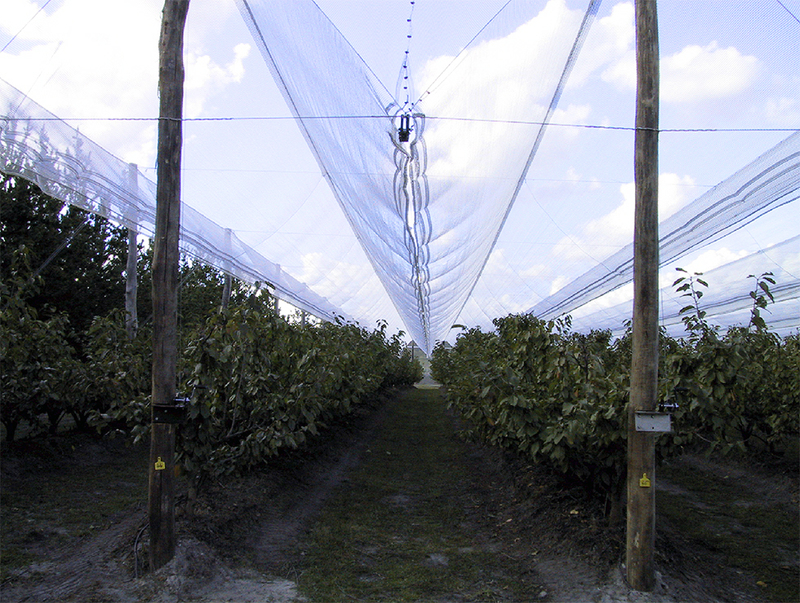 Primarily designed for modern apple orchards, we provide a variety of shade cloth options. Depending on the type of stucture, row spacing, and the terrain upon which the orchard is being grown, we can provide a product to provide shade and hail protection. Neal Carter and Associates Ltd. has its background in bioresource engineering consulting, and this legacy is seen in the design of our custom processing equipment. For inquiries into our custom equipment manufacturing services, contact us and we will be happy to discuss ways in which we can help.